We all have heard the negative aspects of capitalism. It increases our consumption and makes our decisions profit-oriented, neglecting the negative impact it has on the environment and our own health. But does the possibility exist, that we can tweak our individual relationship to money within capitalistic societies so that we gain more freedom than ever before in history? Money can buy free time. I would argue it is possible and all it requires is a shift in our mindset around what we hope get from the gains in productivity of the industries. Karl Marx was already of the opinion, that we would be able to reduce the average working time to 15 hours per week in the year 2030. In developed countries we are far from reaching that level of time spent working. Average working time is still hovering around 40 hours per week for most countries. Not even counting the unpaid overtime that many people are putting in. Why is that the case? In my last post I have presented to basic reasons, explaining this development. And I encourage you to read it. It is not very long. But now onto the possible alternative: It has been written about under different names. The most widespread names are financial independence and financial freedom. Those are two different degrees of the same concept. Without going into detail about how to approach those goals, I want to elaborate here the underlying economic structures and mental shifts required for these concepts to work. If you want to read more about how I approach financial freedom, I have written about it in this article. With financial freedom you have enough investments, usually in stocks, bonds and equity, to support your needs from the returns which you are receiving. What sounds logical on a mathematical basis actually requires a certain way of production to make this concept work for a large number of people. To explain this, let’s look at the typical person striving for financial freedom. He or she might be a young person starting out in his first job. He decides to save a large part of his income. He reduces his consumption of unnecessary products. He is going to take the low-cost vacation, maybe camping, bicycle touring or hiking. The challenges actually making him stronger, healthier and happier. He will skip buying the newest electronic gadgets and should he have a car it will be a practical one and not the one you drive in the hopes of increasing your social status. In that process of building up his investments he is already reducing the environmental impacts of overconsumption. After several years of high savings rates he hopes to retire from the typical forms of work and his 9-5. In order for this to work on a global basis we need highly efficient production systems, durable products and reduced consumption. For many people early retirement and financial freedom is only possible when they spend considerably less than what they would otherwise have spent. The requirement of reduced consumption is largely an individual decision. Even though it is made harder by advertising and our consumer-culture, it is still under your conscious will-power to make sound financial decisions. Clearly seeing which purchases will make you happier and which will not. Setting up habits, like putting everything on a wish-list for 30 days before purchasing and clearly evaluating your need for that item during that time, will make this a rewarding way to life. Contrary to the consumer-lifestyle, the lifestyle of achieving a maximum savings-rate can be actually be truly rewarding. You will discover many truth about your own motivations in the process. All the while preparing yourself mentally for the life of reduced consumption which is needed in order for early retirement to work for most people. The other two requirements are a little bit more difficult to fulfill. Because in today’s economy, these are not so much decisions on an individual level. Let’s start with investigating the requirement for durable products. By choosing to buy only high quality and lasting products you can partly influence this point. But on a large scale, consumer products tend to be designed to fail after a certain period in order to increase profits. And often times it is hard to judge which products have a long life-time and which fail quickly. This needs to change. For the environment and our goal of reduced working time. To achieve it we need to approach the change from two sides. As a consumer we need to inform ourselves about the lifetime of products and purchase the more durable product which actually gives us more value for our money. And as producers we need to find ways to build healthy businesses that are able to make a profit with high quality and long lasting products. Maybe shifting to a more service oriented approach, where the product is shared between customers and maintained by the company who offers the (rental-)service. This is just an example and there are many ways in which we can profit from durable products. But the trickiest part is to truly increase our productivity. Automatization has already come a long way, but we have also produced ever more complex machines, requiring a lot of work to manufacture. And instead of using the outputs of those machines to buy more free time for ourselves we have found numerous new ways to increase our consumption. We decided (probably unconsciously driven by advertisements) to use the gains in productivity to consume ever more complex products and services. For example it is now quite common to fly around the world for vacations. But few people ask themselves the question if they will really have a better time at those faraway places than during a vacation at closer places or even just enjoying free time in their home-towns. Because we do not have more free time we increased the intensity with which we consume. Flying around the world is probably the fastest way to burn through savings. Many people would say that travelling is worth it. I tend to disagree in the sense that airplane-travelling is less engaging and less eventful than the slower forms of travel that true financial freedom allows for. For example by train, in a camping-van, by bicycle or by foot. That way you can more truly experience the culture of a country. But what you need for those forms of travel is time. And you can only gain that by spending less. Gains in productivity are an inherent aspect of a capitalistic economy. Companies will be forced to strive for higher efficiency. So we do not need to worry too much about whether or not we will build efficient production systems. The most important question will be about the products that we produce with those systems. In part this can be guided by our consumer demand. But a large portion is dictated by political decisions. The way we shape our cities for example, largely dictates our need for transportation and cars. We have built large cities, mainly geared towards cars, that it is difficult to commute by bicycle or by foot. Those political decisions reach far into other aspects of our lives as well. So much that our daily decisions are heavily influenced. But I would argue that with a deep understanding of the forces at work, you can resist them and make the most appropriate choices towards the goal of financial freedom. The most important shift that needs to happen for increased freedom has to happen in our mental space. We need to be able to cope with a reality were we do not need to work as much anymore as we do. Can we fill our lives and give purpose to our actions on our own terms? Can we construct a basis around which our lives should evolve that is not predicted by an employers or higher corporate goal? I think humans are quite capable of this. We just have not learned to live in that mode. Our whole lives have been directed and shaped by work. Education and our whole upbringing is largely geared towards work and derives much of it’s purpose out of the underlying thinking that it is required to perform necessary forms of work. Can we motivate ourselves to learn and grow our understanding of the world without this as our main motivation in life? This is a question that everyone needs to answer for himself in part, but also our educational systems will adjust to an environment where the end-goal is not so much focused on work in the sense of generating a monetary profit. When you strive for financial freedom or early retirement you still have to put in a considerable amount of work. But everyone is free to choose how they would like to approach more free time. You have the possibility to work hard for a few years and then be done with working for an income. Or you could choose to work less per week, but continue working. Taking regular long breaks from work (sabbaticals) are another way to approach this concept of more freedom. And the savings-phase clearly dictates how long everyone has to work in order to finance his personal level of consumption. 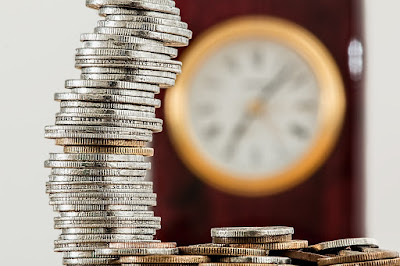 Many factors are involved in the calculation of how much investments one needs, but it largely depends on the level of consumption, desired level of security and risk taken in the investment process. A basic income would leave a lot of room for failure. Questions about people’s work ethic and level of happiness without work are to be answered. While people who strive for financial freedom most likely have a clear picture of what they want to do with their time when working less. The basic income also does not take into account the different lifestyle people have and how much money each person would like to have. And adjustments to the economic output would need to be made. In the dividend-based model of financial freedom this is automatically regulated on an individual basis. If the economy does not do so well, people will receive less. Therefore many will increase their earnings through paid work on a short-term basis and thus economic output might increase as well. This scenario is a uniquely positive side of capitalism. It offers a degree of freedom that is not possible in any other system. On an individual level the choices can be made entirely independent of location and time-restrictions. More time will be available for work outside of the corporate environment. The focus will naturally shift to high quality, durable products and less consumption overall. The requirement in order for this to happen is, that we value our life and our time more than money or consumption.